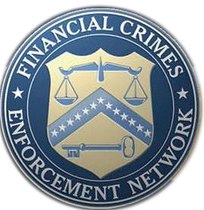 The U.S. Department of the Treasury’s Financial Crimes Enforcement Network (FinCEN) issued a Notice of Proposed Rulemaking (NPRM) to amend existing Bank Secrecy Act (BSA) regulations to help prevent the use of anonymous companies to engage in or launder the proceeds of illegal activity in the U.S. financial sector. See Proposed Rules and New Beneficial Ownership Form (Appendix A) here. The proposed rule would clarify and strengthen customer due diligence obligations of banks and other financial institutions (including brokers or dealers in securities, mutual funds, futures commission merchants, and introducing brokers in commodities). The proposed amendments would add a new requirement that these entities know and verify the identities of the real people (also known as beneficial owners) who own, control, and profit from the companies they service to facilitate reporting and investigations in support of tax compliance, and advancing international commitments made to foreign counterparts in connection with the provisions commonly known as the Foreign Account Tax Compliance Act (FATCA). The United States has collaborated with foreign governments to enter into intergovernmental agreements that facilitate the effective and efficient implementation of these requirements. Pursuant to many of these agreements, the United States has committed to pursuing reciprocity with respect to collecting and reporting to the authorities of the FATCA partner information on the U.S. accounts of residents of the FATCA partner. A general requirement for U.S. financial institutions to obtain beneficial ownership information for AML purposes advances this commitment, and puts the United States in a better position to work with foreign governments to combat offshore tax evasion and other financial crimes. conducting ongoing monitoring to maintain and update customer information and to identify and report suspicious transactions. The proposed requirement to identify and verify the identity of beneficial owners is addressed through the proposal of a new requirement for covered financial institutions to collect beneficial ownership in a standardized format. Those financial institutions will have to identify and verify any individual who owns 25 percent of more of a legal entity, and an individual who controls the legal entity. The second element of CDD requires financial institutions to identify and verify the beneficial owners of legal entity customers. FinCEN proposes a new requirement that financial institutions identify the natural persons who are beneficial owners of legal entity customers, subject to certain exemptions. The definition of “beneficial owner” proposed herein requires that the person identified as a beneficial owner be a natural person (as opposed to another legal entity). A financial institution must satisfy this requirement by obtaining at the time a new account is opened a standard certification form (Appendix A of Proposed Rules) directly from the individual opening the new account on behalf of the legal entity customer. Financial institutions would be required to verify the identity of beneficial owners consistent with their existing CIP practices. However, FinCEN is not proposing to require that financial institutions verify that the natural persons identified on the form are in fact the beneficial owners. In other words, the requirement focuses on verifying the identity of the beneficial owners, but does not require the verification of their status as beneficial owners. This proposed requirement states minimum standards. social security number (for U.S. persons). This information is consistent with the information required under the CIP rules for identifying customers that are natural persons. The form also requires the individual opening the account on behalf of the legal entity customer to certify, to the best of his or her knowledge, that the information provided on the form is complete and correct. Obtaining a signed and completed form from the individual opening the account on behalf of the legal entity customer shall satisfy the requirement to identify the beneficial owners. This section also requires financial institutions to verify the identity of the individuals identified as beneficial owners on the certification form. The procedures for verification are to be identical to the procedures applicable to an individual opening an account under the existing CIP rules. according to the same documentary and non-documentary methods the financial institution may use in connection with its customer identification program (to the extent applicable to customers that are individuals), within a reasonable time after the account is opened. A financial institution must also include procedures for responding to circumstances in which it cannot form a reasonable belief that it knows the true identity of the beneficial owner, as described under the CIP rules. A covered financial institution must identify each individual under the ownership prong (i.e., each individual who owns 25 percent or more of the equity interests), in addition to one individual for the control prong (i.e., any individual with significant managerial control). If no individual owns 25 percent or more of the equity interests, then the financial institution may identify a beneficial owner under the control prong only. If appropriate, the same individual(s) may be identified under both criteria. Promoting consistency in implementing and enforcing CDD regulatory expectations across and within financial sectors. FinCEN believes that there are approximately eight million such accounts opened annually by covered financial institutions. Based on the total number of covered financial institutions,65 this would result in each covered financial institution opening approximately 368 such accounts per year, or 1.5 per day. Estimating an average time for a covered financial institution to receive the certification and verify the information of 20 minutes and an average cost of $20 per hour, this results in a cost of approximately $54 million. This entry was posted on August 4, 2014 at 06:01	and is filed under FATCA, Money Laundering. Tagged: beneficial ownership, CDD, due diligence, FATCA, FINCEN, IGA, reciprocity. You can follow any responses to this entry through the RSS 2.0 feed. You can leave a response, or trackback from your own site. Creating the domestic DATCA to impose on USFIs without Congressional Authority. Never underestimate the FATCAnatics and this Administration Executive power to do what they hell they want, to impose what they can not get legislatively. DATCA reciprocity is buried on page 203 of their FY15 budget, and that hasn’t passed, so this move does NOT surprise me. FATCA is truly the ebola virus of the financial system. Its infection has spread to the global GATCA, and now just like the Doctor patient coming home from Africa for treatment of ebola contracted overseas, DATCA is now spreading back to the homeland to infect USFIs. There is no known cure to stop the spread without voting the Dems out of the Senate in the midterms to put the virulent Executive Branch in an isolation chamber to stop further infections..